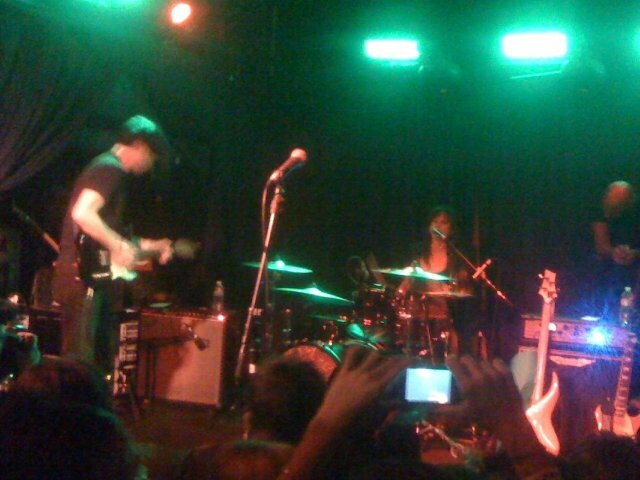 last night jeanine and i saw juliette lewis at the echo. first we went to palermo for a nice italiano dinnero but palermo is closed on tuesdays. who knew? or two, there were two of em and they are named tony and jeanine. had what i always have, the chicken fried steak with mashed potatoes and gravy and mixed vegitables. heres what i dont like: if you give a man a salad but he asks you to substitute soup, charge the man an extra buck if you want, but under no circumstances say there are no substitutions. life is nothing if not a series of substitutions. 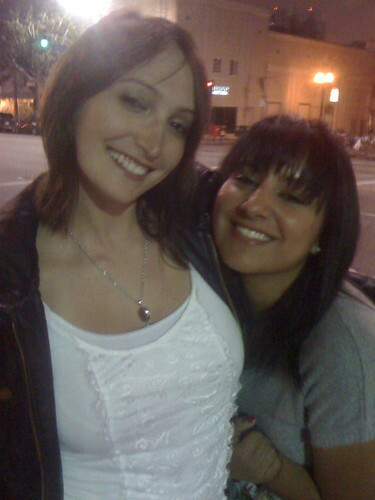 there was a time when jeanine and i were oh so in love. we still love each other in a way that a stranger might think is adorable, we hold hands, we hug each other tightly, we kiss on the lips as we are walking through the streets, we dont buy each others bs. but at some point we substituted each other for others and i’ll tell you what fred 62, it was necessarry and a lot better than being stuck with a bowl of stuff you dont want. speaking of hotness, lets move on to juliette lewis. how much does a woman need to do to prove that she knows how to rock? juliette has been on a rock crusade for years now. most of this decade if i recall. yet even though tickets were a paltry $10 the cozy echo was not packed, and barely prepared for the tornado that is juliette. she opened the show on drums, was probably the cause of the broken bass pedal, and when it was obvious that the drummer was not going to improvise, rallied the rest of her band to bust with a blues number so reminicent of janis joplin that it evoked acid flashbacks into most of the crowd and summoned a mystical bass drum pedal that arrived mid song just in time for the climatic and euphoric chorus. i know shes no justin beeeeeber, but as far as locally grown rock goes, there are few better. does she need some better songs? who doesnt. but to watch someone get up there, shake it, scream it, and belt it out, is definately with my ten bucks. she told us that she was gonna play again in a few weeks so stay tuned. monday night sarah and ali wanted to drink eat and be merry. but whatevs we decided to go to the irish bar dillons where the pints are $3 and the waitresses all wear plaid skirts and knee highs. only because ali and sarah are such great sports did it happen, and once we were there they realized, omg this place is packed filled with youngish dudes. which they thought was the best thing ever. meanwhile i had plenty to look at as well. and i dont mean the amazing selection of sports programming on the plasma screens. because ashley was right when she said im never satisfied, all i could do was think how much better Dillons would be if they had a dj. their music is the worst. and its on a loop. and its a short loop. so you could go an hour and hear the same songs. how is that even possible in 2010? i for one nominate dj scott sterling to be the house dj of dillons and if they cant afford him, perhaps i should volunteer to rock some ipods merely for some dinner and drinks. ali and sarah wanted to party further into the night but i needed to go home and wash my hair. but next time for sure! !